Disrupted sleep caused by sleep apnea is common and has a major impact on brain health. 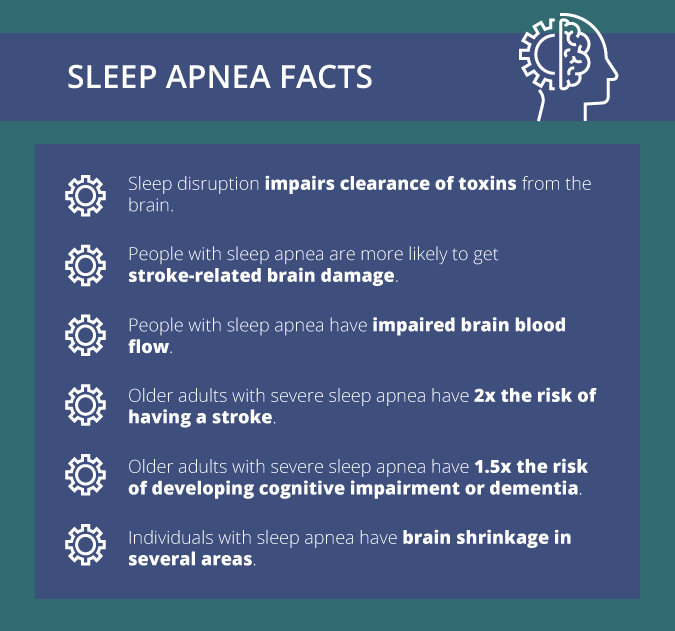 There is still much we do not know about how sleep apnea damages the brain and what we can do to fix this. The Brain Changes in Sleep Apnea Study (BCSAS) will answer these questions. In collaboration with the University of Edinburgh, we are looking for 80 people with newly diagnosed sleep apnea to participate in this important study. If you decide to participate, then we will give you three simple wearable devices to measure your sleep and blood pressure in the comfort of your home. You will also be asked to come to Sunnybrook for a half-day visit to have a few simple tests of memory and concentration, provide a sample of blood and urine, measure the stiffness of your arteries and have an MRI of your brain. After four months of treatment with a continuous positive airway pressure (CPAP) machine, as overseen by your usual sleep physician, you will then repeat these measurements.